Operations - especially in the enterprise - is always the last group that gets to join in on the Digital and Lean transformations sweeping business today. A big part of this is because Operations organizations tend to be overloaded and the work is complicated. Making matters worse, the history of an enterprise's successes (also known as "legacy") piles up in Operations. Multiple generations of applications, platforms, processes, and people all need to hang together in Operations for the enterprise to make its money. Operations is the most critical and rewarding part of an organization to transform, yet it is also the most difficult. 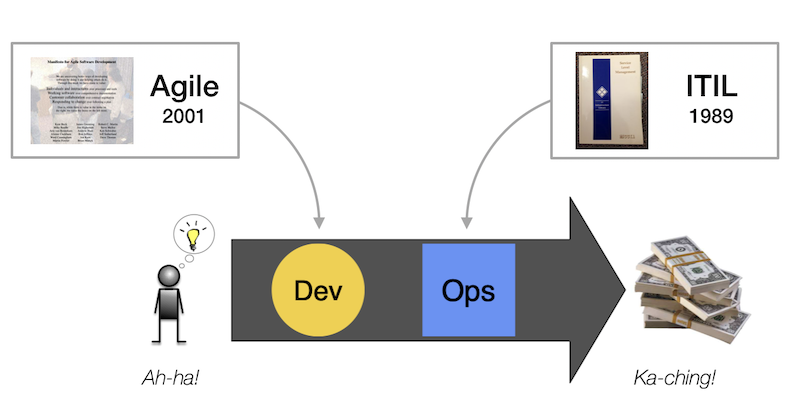 I was honored to deliver a keynote at the recent DevOps Enterprise Summit on this topic. The title of the talk was: "Operations: The Last Mile." Ignore Ops at your own peril. 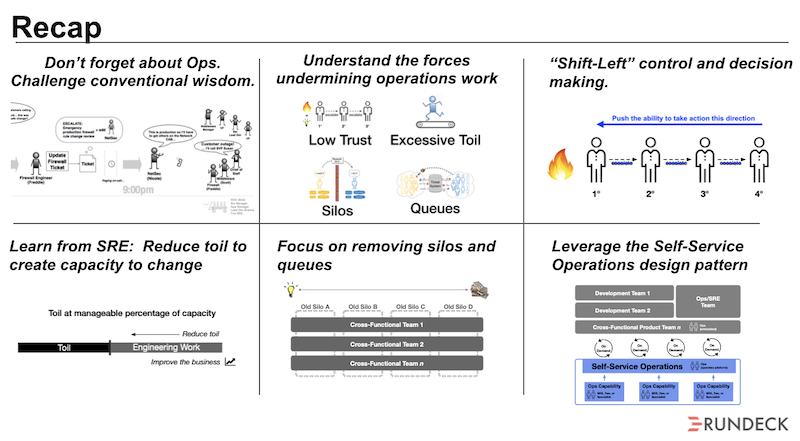 Highly entertaining & insightful look at how to improve the lives of Ops Engineers @damonedwards #DOES18 "Operations: The Last Mile"
I opened the talk by making the point that Developers have had a head start over Operations when it comes to the Lean underpinnings of today's DevOps and Digital Transformations. Since 2001, Agile ideas and terminology have been seeping into the brains of Developers, even if they weren't "doing Agile." 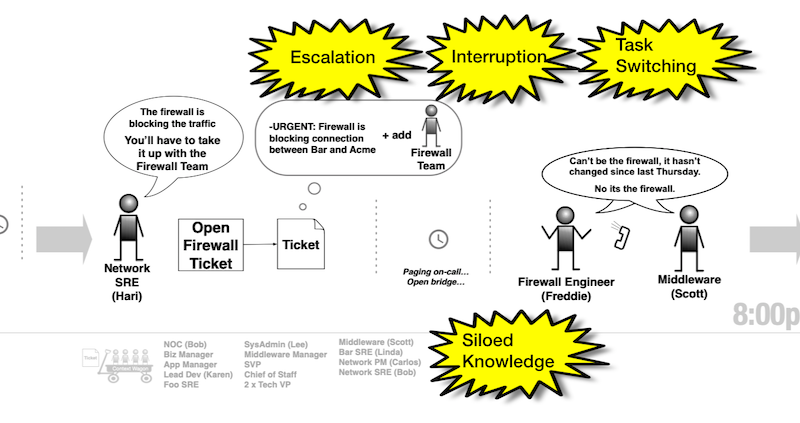 I next went into a detailed walkthrough of a very real enterprise incident. Aside from being the most fun I've ever had on a conference stage, this story illustrates the visceral frustration that most people who have worked in enterprise Operations have felt — and often despite the transformation efforts going on elsewhere in their company. 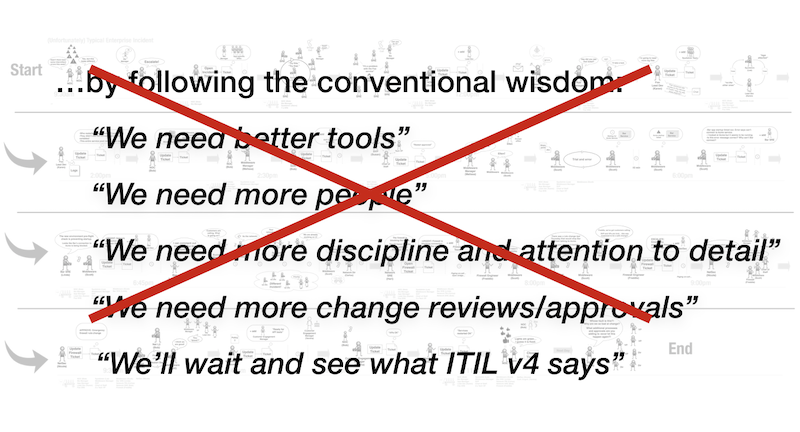 I also took a quick look at the conventional wisdom that one might hear when discussing how to improve Operations. Most of these are wrong or inconsequential! The rest of the talk was about unpacking the four forces that undermine Operations work and what we can do about each of them. 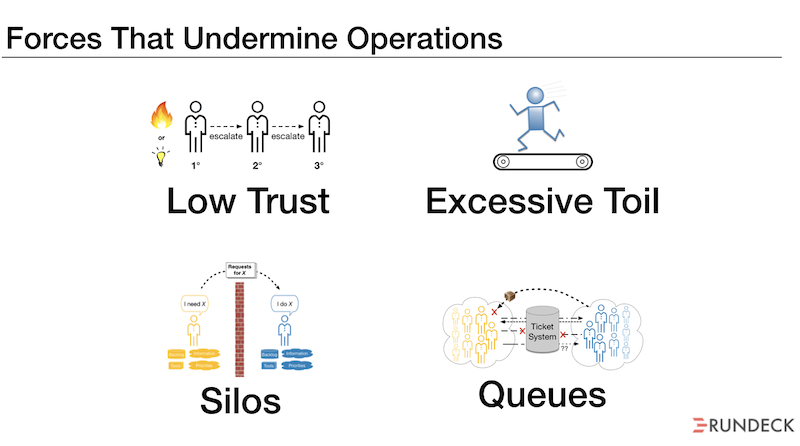 I refer to these forces as the Four Horsemen of the Ops Apocalypse: Low Trust, Excessive Toil, Silos, and Queues. 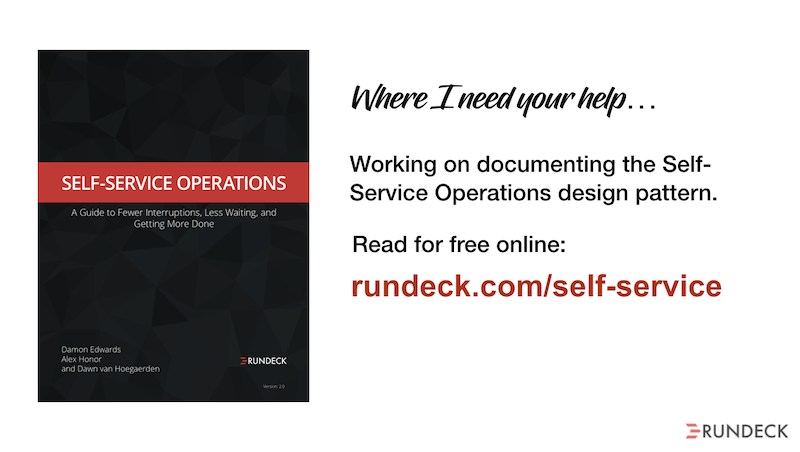 While discussing the various countermeasures to these forces, I reference the Self-Service Operations book that you can read here and provide feedback. Below are the video and slides for the talk. Let me know what you think! Are there any areas I should cover more in-depth or anything I left out?